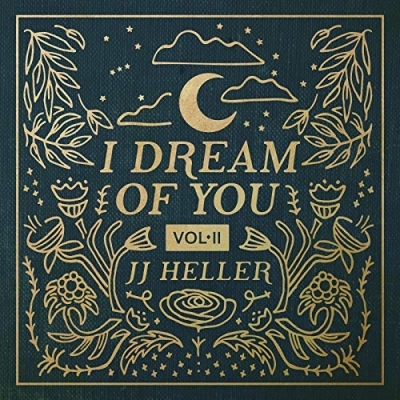 JJ Heller's latest, I Dream Of You (Vol. II) is available now. Appealing to parent and child alike, the stirring 15-song collection of timeless covers and lullabies is comprised of songs from the 50’s through today including favorites like “Here Comes the Sun,” “Bridge Over Troubled Water,” “Edelweiss” and more, along with three brand-new originals. Birthed out of Heller’s own desire as a mother of two came I Dream Of You (Vol. II), medicinal music that crosses generational boundaries, with messages of truth, hope and love woven throughout each track. “As a mom, I know how important it is to find moments of peace throughout the day," said Heller. "My hope is that this album can be a calming gift to children and parents alike!" Pop singer Christina Perri, set to release her own lullabies record this Jan., shared her enthusiasm for Heller's project on Instagram, sharing "I stumbled upon [JJ's] lullaby album and I love it so much! So many favorites on there! Beautiful work." Additionally, fans have shown an outpouring of response, taking to social media to share how Heller's latest record has encouraged them.